As speculation builds over President Obama's choice for a Secretary of State to replace Hillary Clinton, some top Senate Republicans are threatening to block top candidate Susan Rice from the post, claiming her statements about the violence in Benghazi, Libya disqualify her from getting a "promotion." 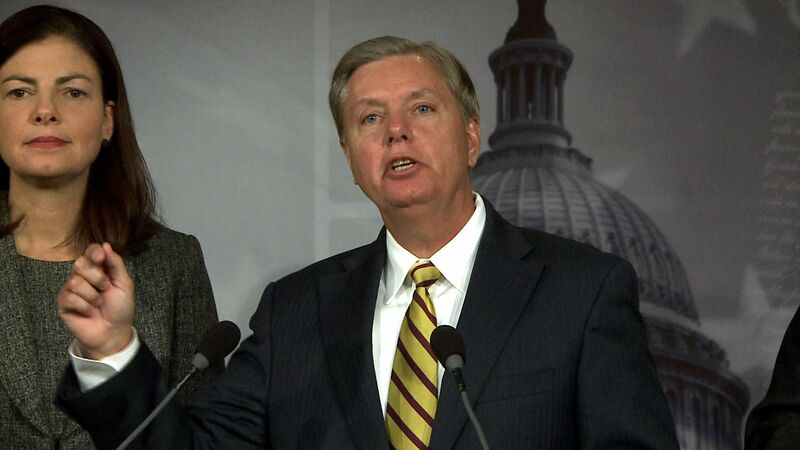 In a press conference in the U.S. Capitol today, Sen. Lindsey Graham, R-S.C., argued that Rice, currently the U.S. Ambassador to the United Nations, misled the American people when addressing the September 11 attacks in Libya, which resulted in the death of four Americans. "Somebody has got to start paying a price around this place," said Graham. "I don't think she deserves to be promoted. There are a lot of qualified people in this country the president could pick, but I am dead-set on making sure we don't promote anybody that was an essential player in the Benghazi debacle." Shortly following the attacks in Benghazi, Rice appeared on CBS News' "Face the Nation" and suggested there was no evidence that the incident was an act of terrorism. Instead, she said, the violence appeared to be prompted by an inflammatory anti-Muslim video that had led to protests in Egypt. Since then, Rice's characterization has been proven inaccurate, although her statements were supported by talking points the CIA reportedly gave her at the time. Regardless, Republicans have lambasted Rice for propagating the idea that the violence was inspired by the video, and accused her of knowingly misleading the American people about a terrorist attack. "This is about the role she played around four dead Americans, when it seems to be that the story coming out of the administration - and she's the point person - is so disconnected to reality I don't trust her," said Graham. "And the reason I don't trust her is because I think she knew better, and if she didn't know better she shouldn't be the voice of America." In the same press conference, Sen. John McCain, R-Ariz., pledged to do "everything" in his power to block Rice from being tapped as Clinton's successor. Clinton has said repeatedly she does not plan to serve a second term as Secretary of State. McCain and Graham, along with Sen. Kelly Ayotte, R-N.H., are calling for a select committee of Congress to investigate the violence in Libya.